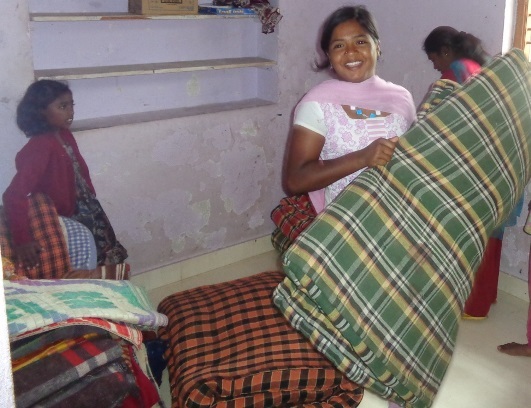 New beds have arrived at the girls' home and they had to try them out right away! 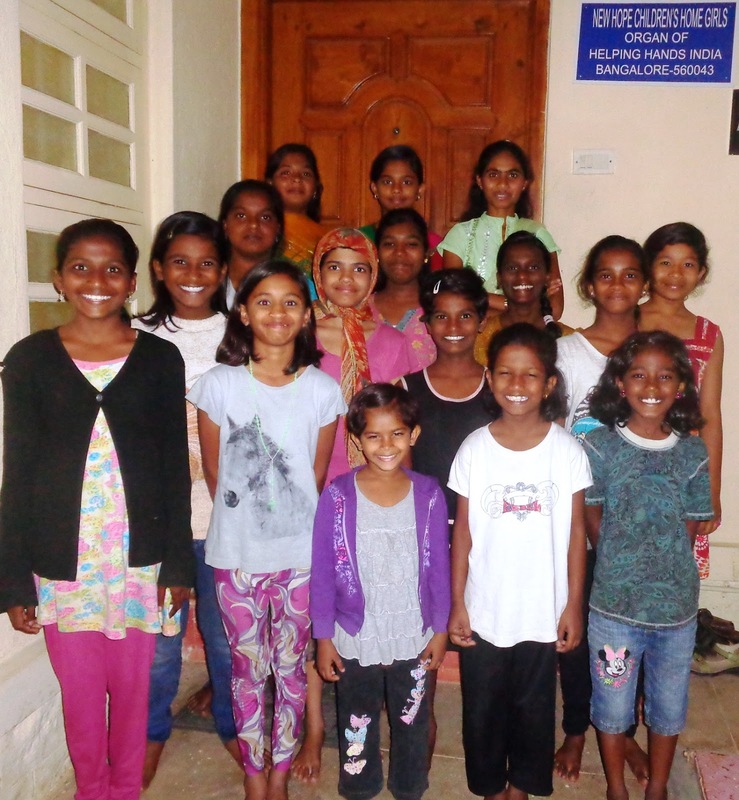 Big smiles from Bangalore girls at their new home. Two of the girls were with relatives when this photo was taken. 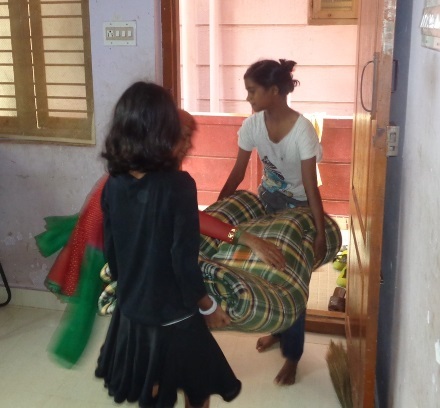 Girls wait to go into their new home for the first time. 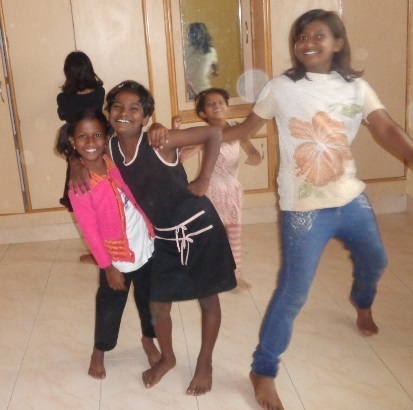 Girls enjoy their new home!